Providing solid solutions since 1999 specifically tailored for today’s real estate professional. At the end of every day when you sit down to think about what you accomplished (and what you may need to move to the next day’s to do list), do you wonder if you will ever get it all done? For most of us, there simply aren’t enough hours in the day to accomplish all that we would like to and so many tasks get pushed to the back burner as we put out fires for our next closing, show houses from the latest sign call or put together a CMA for our next listing appointment. Do you think you will wake up one day and magically have more time to accomplish everything on your growing to do list or do you need to identify the tasks that you can delegate to someone else? This is where Kim Hughes and Company can help. Many people wonder how exactly you might best utilize a real estate virtual assistant company. With Kim Hughes and Company, the options are really almost endless. Just one of the many tasks we can help with is updating or creating your listing or pre-listing presentation or your buyer presentation. These can be created in a printed or digital format or both. 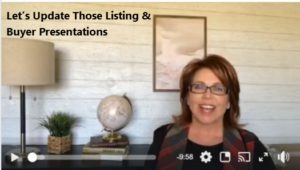 You may choose to have a pre-listing presentation that you email to potential sellers after your initial contact as well as a listing presentation that you share when you meet with them in person. How do you know what’s best for you and what to include in your presentations. We will pull from our experience, your input and ask specific questions designed to give us the information that will help your presentation stand out in your market. The same goes for a buyer presentation or a welcome packet for new buyer leads. While your input is necessary if you want truly customized presentations that reflect your individuality, we will handle 90-95% of the work so all you have to do is answer questions and review the drafts we provide. Then we will make final revisions and finalize the presentations in the format you wish. While there are other sources you can purchase some of these items from, they won’t be customized and would likely require you to customize the items yourself if it is even possible. Is that really helpful if you don’t have the time to work on your presentation to start with? Like so many things in life, you get what you pay for and purchasing a generic presentation won’t give you the results you are looking for and will require additional time from you to customize the presentation to meet your needs while adding one more item to your to do list. Utilize Kim Hughes and Company to deliver customized products that will help you reach your goals without creating more work for you so you can begin to mark items off your to do list instead of just adding to it. Is there something else you have on your to do list? Let us know and chances are we can help you with it. We recognize that all real estate agents run their businesses differently and our goal is to support you in whatever way will be most beneficial to your business. So let us know what kind of help you are looking for. Ready and motivated to organize your life? The 90 Day Real Estate Planner is a must for any agent, broker, team leader to implement into their daily lives as it will help you become more productive, find more time and be better organized. 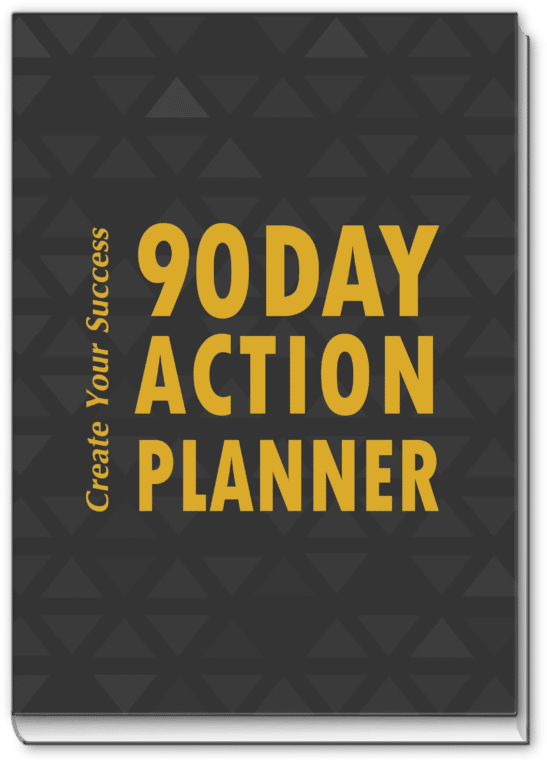 Get it today by visiting the 90 Day Real Estate Action Planner – use the COUPON CODE: PLAN18 to get your discount. This special code is for a limited time only, so take advantage of this discount today and get excited about your life becoming more organized and structured. Are you realizing you need to tighten up your business strategies? Here at Kim Hughes & Company we are the experts when it comes to working real estate agents with start-ups, re-organizing, marketing, transaction management and so much more. Visit us at Kim Hughes and Company to download our free Real Estate Checklist. 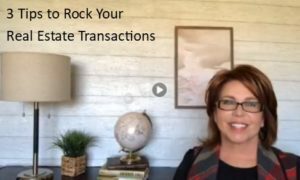 We will show you how to become a powerhouse agent so schedule a 20 minute complimentary call with Kim today and let’s get you organized and create some amazing strategies for your business. Are you ready to get serious about working the Expired’s in your market? Are you ready to start building your inventory and put more money in the bank? I bet you are! I have been asked many of times to do a webinar for agents who struggle with the Expired Listing process, so coming in March I will be hosting a Workshop to take you through my Expired Listing System that has been a huge success for many top agents. If you would like to be the first notified just click on the link below and you will automatically go into my private list to receive the first announcement. YES! I WANT TO BE THE FIRST TO KNOW – SIGN ME UP! Do you get that warm fuzzy feeling when you have an executed contract in hand and ready to go into the closing phase? Or, do you get a little excited then panic because you are now responsible for managing the contract? Let me share a little story with you on how we helped an agent become the top agent in his market and in his company by managing the transaction. Created a drip campaign and by bringing us into his business he did not have train us because we already knew what we needed to know to be in compliance with his brokerage, franchise and state. Since then we have been the transaction coordinator for the team. We took him from barely closing 1 per month to closing 3-5 per week. By taking the pressure off the team we were able to give this agent and his team the confidence to go out and do what they loved. They were excited again about real estate. Most real estate agents do not enjoy the transaction phase of a contract because this is detailed, structured, deadlines, etc not to mention you have to manage all the parties involved. That is no fun, right? You want to get out there and do what you do best and that is helping your client find that forever home or to help your seller get their home sold quickly and for the most the market will bear, right? Well, if you do not enjoy, have the time or the patience to make sure the most important piece to working with your sellers and buyers is not being handled to perfection then you need to consider bringing a transaction coordinator onto your team. Yes, you need help and you need to know that you can find that right person who will represent you in the most professional manner, hold your clients hand, make sure all parties are doing their part, everyone is communicating so everyone gets to the closing table as smoothly as possible. After all, this is the phase of a contract where you can really shine with your client, the other agent, the lender, the title company, etc. This is where you get that raving review or testimonial. You want your clients to know you have your pulse on the transaction and by having the best of the best you trust your transaction coordinator. After all we make you look good and allow you the freedom to be becomes the best for your clients. If you are that agent who is ready to take their business to a level of 200% customer satisfaction then you need to schedule a complimentary call with Kim Hughes & Company today. We will explain the process, listen to what you need and then come together with a solid strategy and system to work with you and your team as the transaction coordinator for you and your clients. So, not ready to bring us on? We get it and the goal is that you get so busy that you reach out to us when the time is right, but in the meantime let me give you 3 tips on making sure you are giving your clients 200% in customer satisfaction. Tip 1: Create an email that goes out to all parties with the crucial dates so everyone knows the deadlines, etc. Tip 2: Create a campaign for your buyer and seller that drips out weekly to them with tips on what they should be doing to prepare for the move. Tip 3: Stay in contact with your client. Make sure to stay a step ahead of them with answers to questions they do not even know to ask. Make that call weekly to let them know you are there for them. Be consistent in the time you allow to call them. What day of the week and will it be morning or evening? Make sure to have all the up-to-date details ready to discuss with them. And, here is another tip. Once you close the property make sure to send all parties a thank you card. Especially your title company. What is the budget for a closing gift? Make sure to send your client a thank you and a small token of your appreciation. Then ask for the review/testimonial. If all of this is overwhelming for you click on the button below and let’s schedule a call so I can talk to you about how we can help you manage your transactions. You can download our transaction management package by clicking on this link. Are you ready to get serious about working the Expired’s in your market? Are you ready to start building your inventory and put more money in the bank? I bet you are! I have been asked many of times to do a webinar for agents who struggle with the Expired Listing process, so coming in August I will be hosting a Workshop to take you through my Expired Listing System that has been a huge success for many top agents. If you would like to be the first notified just click on the link below and you will automatically go into my private list to receive the first announcement. How Effective Is Your Social Media Marketing? In the midst of showing and listing houses, attending inspections, negotiating contracts and networking with future prospects, when are you supposed to have time to keep up with blogging, Facebook, LinkedIn, Instagram, Twitter and Pinterest? The key to social media platforms providing the exposure you are looking for is consistency. Adding a post here and there when you have a free minute with weeks or months in between posts will not garner the exposure you are looking for. 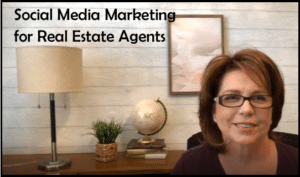 Your social media accounts should provide information on a variety of different topics including details on your listing, stats on the local market, local activities, industry news and homeowner tips. While it doesn’t require a full time job, it can be hard to fit it all in when you are busy and have lots of other activities going on. Social media can be an easy responsibility to transition to someone else and get the consistency you need. With the right individual or team responsible for your social media, you can focus your time on tasks with a higher return on investment. Consider delegating this responsibility to Kim Hughes and Company. We work with our clients to develop a custom social media approach that includes the platforms that will benefit them with consistent posts that will keep them front of mind in their market. In most cases, we recommend you start with blogging. Blogs will focus on a variety of topics including real estate articles relative to buyers and sellers, homeowner tips, property information and local events. Blogs are written with keywords in mind that will benefit your website’s search engine optimization, posted on your website and then shared to your social media platforms. By sharing from your website, when people click on the links from your social media, they are brought back to your website benefiting your placement in the search engines when people are searching for real estate in your area. Beyond blogging, we will develop a social media schedule to share local news, real estate tips, promote your listings and other items that your followers will engage with. Once you turn over your social media to your virtual assistant, you can count on your social media platforms having consistent posts without you having to think about them leaving you extra time to sell more houses and focus on the things that require your attention. automatically go into my private list to receive the first announcement. As the new year approaches and you are setting goals and trying to ensure you have the perfect systems in place to reach those goals, have you begun to identify areas that still need work or that you don’t have time to handle? Don’t let that stress you out. Kim Hughes and Company has an experienced and versatile team of professionals that can work with you to help you reach those goals. Our team members have years of experience in all aspects of the real estate industry and can help you complete any tasks you feel like you don’t have the time or expertise to manage. Many people think of using a virtual assistant for help with their listing, transaction and social media management but we have many other areas of expertise we can help with too. Here are a few more things to consider. Whether you need help organizing your database to import and establish a CRM or implementing drip campaigns to stay in touch with your leads and past clients, we can help with all of that. We also work with clients to keep their database up to date by taking new leads and adding to your database and assigning to the appropriate drip campaign. Getting everything organized to start with is critical but don’t waste that time by not managing new leads appropriately to utilize the systems you have in place. You work hard to make money but do you take the time to manage the money you have and keep track of your expenses so you know where your money is going and feel good about the return you are getting on the money you spend? Seeing a monthly breakdown of your expenditures is critical to knowing how your business is performing and where you need to make adjustments. If you wait to look at a profit and loss statement at the end of the year, it will be too late to make any changes if you don’t like what you see. Having your accounts reconciled monthly by Kim Hughes and Company will give you the data you need to take your business where you want it to be. Whether you have a custom, template or no website in place, we can help you with it. Websites come in all shapes and sizes and Kim Hughes and Company recognizes that one size doesn’t fit all when it comes to websites. Don’t be overwhelmed by not understanding all that goes into a website and all that you need to do to keep your website up to date. We can work with you to understand your goals and how to help you reach them. If you don’t have a current site in place, we can discuss the pros and cons of different kinds of sites to help you determine what will best meet your needs. It can be hard to be really productive in real estate on many days because so often your schedule is dictated by the needs of your clients. While you must allow this to some disagree if you want to be successful, you must figure out a way to be productive and still be responsive to your clients at the same time. The first key to having a productive day is to make a plan for it. Spend the last 15 minutes of each day planning for the next day. Make your to do list of items that must get done. This can be phone calls to make, emails to send, paperwork that needs to be completed, any appointments you have scheduled, events or meetings to attend and anything else that you must accomplish. Just How Productive Do You Think You Are? Once you have made your to do list for the next day, take the time to schedule the different items you need to complete at different times of the day. Make sure to include times for daily activities such as emails, following up on active contracts and listings, etc. It is also a good idea to leave open windows of time to respond to the things that pop up once the day starts. The open blocks of time will allow you the opportunity to show a house to someone that calls from a sign or work on a listing presentation for a lead that calls and wants to meet with you about selling their home. Real estate is a business that makes it really hard to plan for because there are so many circumstances that require you to respond immediately and can’t wait so it is very important to leave time for the unexpected each day. 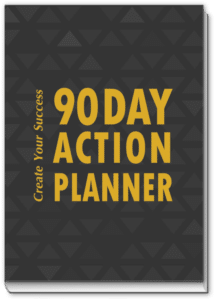 Start 2019 Off Right….Get your real estate planner today by visiting the 90 Day Real Estate Action Planner – use the COUPON CODE: PLAN18 to get your discount. On your daily schedule, make sure to include time each day to plan the next day and time for a lunch or dinner break if you are working late in the day. You should also include any personal commitments you have so that you don’t overlook them when you are planning your day. Personal appointments are just as important as your business engagements. The biggest reason planning your day will allow you to be more productive is because it will help you block your time into chunks and keep you from jumping around from one task to another frequently while not finishing anything. When you are working on something, you don’t have to answer every phone call and return every email immediately. Emails and phone calls should be returned in chunks for optimum productivity. While answering phone calls can be really important and allow you to make money, they can be distracting as well. Schedule mid-morning and mid-afternoon blocks of time for phone calls and emails to be returned so that people won’t have to wait more than a few hours before they hear from you. The same concepts apply during the evening. It can be really easy to take your work home with you and therefore keep you from getting the mental break you need. Respond to calls and emails once each evening and don’t feel like you have to respond constantly. While there will be things that require an immediate response and you should be attentive to those, every call or email is not an emergency. Giving yourself a break from these items will allow you to refresh and be ready to start again the next day with a positive attitude. In today’s technology-driven world, there are many apps that can help you manage your tasks while boosting your productivity. Read about the ones I think you shouldn’t run a business without here. Remember increased productivity will either allow you to have time for other things without being so overwhelmed or allow you to use that time to make more money. Ready and motivated to organize your life? The 90 Day Real Estate Planner is a must for any agent, broker, team leader to implement into their daily lives as it will help you become more productive, find more time and be better organized. 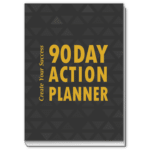 Get it today by visiting the 90 Day Real Estate Action Planner – use the COUPON CODE: PLAN18 to get your discount. This special code is for a limited time only, so take advantage of this discount today and get excited about your life becoming more organized and structured. Ready to create a strategy to improve your business on all levels? Schedule a private consultation to discuss your specific needs today so we can create a strategy that is customized to you and your market. Call or email me and let’s move forward in executing your vision. The Real Estate Course for All Agents and Assistants. PK Hughes, LLC – dba Kim Hughes & Company, a Texas Corporation formed in 1999. .
Kim Hughes & Company offers real estate virtual assistant services to real estate agents by providing strategies with solutions on how to run a successful real estate business including marketing, social media marketing, blogging, not to mention implementing and managing everyday support services.